Confused by conflicting information? Overwhelmed by research? Here’s how to find the source of truth for what your car is worth as a trade in. What’s the only thing worse than paying too much for a car? Paying too much for a car because you got screwed on your trade in. Car shoppers often forget that the true cost of a car involves a lot more than just the price of the new vehicle. Every dollar you don’t get on your trade in is like spending a dollar more on your purchase. We know what it’s like. During the 25+ years we’ve been in business, we’ve heard from thousands of customers about the lowball offers they received at other dealerships. Thankfully, they walked away. But not everyone is so lucky. Trading in your car can seem overwhelming. There are dozens of different websites, and hundreds of car dealerships — and all of them are going to put a different number on the value of your car. Collecting all of that information can be very time consuming. And since most people trade in a vehicle about once every six years, it’s hard to know which number to believe or who you can trust. It shouldn’t be this way. You shouldn’t have to worry about losing out on money — or worse, feel like you’re being ripped off — when you go to trade in your car. There is a fair market value for your car. Dealers know it. And you should get every penny of it, every time. That’s what we believe at Apple Autos, which is why we pay every customer the real cash value for their trade. But not every dealership works that way — in fact, most don’t. So if you’re shopping somewhere else, and want to get the full value for your trade in, here’s what you should do. When you go to trade in your car, don’t accept a number unless you’ve seen it on an ACV Sheet. ACV stands for “actual cash value.” The number on the ACV sheet shows what the dealer believes your car is actually worth. Every dealership in the U.S. uses these sheets for accounting purposes. But that doesn’t mean that every dealership is going to extend you that number as an offer. What dealers are willing to pay doesn’t always align with what they tell you they’re willing to pay. Trade Allowance: Why does my trade-in affect the price of the car I’m trying to buy? It shouldn’t. But that doesn’t mean that a shady salesperson won’t try to tell you otherwise. Remember the ACV sheet — the one that tells the salesman the actual cash value he or she is allowed to offer for your car? Even worse, they can pair this tactic along with what seems like a “deal” on the car your buying. It’s a psychological trick that doesn’t actually save you any money. In some cases, it can cost you. For example, if a dealer thinks the car is worth $10,000, but gets you to accept $8,500 on trade-in, then the $1,500 goes to profit on the car deal. We know this because we’ve spent more than 25 years in the car industry. We’ve seen and heard all of the tricks — but we refuse to use them. At Apple Autos, our “One Low Price” policy ensures there’s no need for negotiation, and none of our salespeople work on a profit-based commission model. You might feel like you worked a bargain. But in reality, you just got screwed out of $500. Similarly, there’s a tactic called “over-allowing” where the dealer pays extra for your trade-in vehicle. How can they do this? Because they have at least that much profit built into the purchase of your new car. A study published in the Journal of Marketing Research demonstrates why this practice is so common. In it, when people had to act as both buyer and seller, they often placed too much importance on the car they’re selling — and if they felt like they were getting a good deal there, were willing to overpay for the car they were buying. In short, they were willing to get screwed on the price of their new car so long as they they thought they were scoring a good deal on the trade-in. It’s for precisely this reason that, in the auto industry, it’s common practice for dealerships to bundle the buying and selling transactions together. After sizing you up, the salesman can determine whether you’re more interested in making money on your trade-in or saving money on your purchase. Then he can juggle the numbers so that you feel like you’re getting a deal — even though you’re not. The solution? Ask the salesman outright if their number is an offer to purchase, or just a “trade allowance.” If it’s a real offer to purchase, then the value should be the same no matter what car you buy. But if the figure they’ve given you is a trade allowance, then you know they’re playing funny money tricks on you. But wait. I’ll make more money if I sell the car myself, right? In most cases, yes. You can charge a higher price if you make a private sale. But once you factor in the hidden costs of selling, you might not actually come out ahead. First, you’ll probably lose out on tax savings. As a car buyer, you pay sales tax. But in most states, if you trade in at a dealership, then you’re only charged tax on the difference between the car you’re buying and the car you’re trading. Transportation fees incurred between the time you sell your old car and buy a new one. Rental cars and Uber rides can add up fast. And then there’s the risk: If the engine blows a week after you make a private sale, the buyer (or the buyer’s lawyer) will probably be calling you to make things right. But if you’ve traded in your vehicle, that’s the dealership’s problem. Of course, whether or not to sell your car privately is a decision only you can make: If you have the time and know the automotive terrain well, it might make sense for you to act as your own salesman. If not, a trade might serve you better. You will always get more straight dollars if you sell it on your own. But after you add it all up, it might not be such a great deal. Ok. Let’s say I’m going to a dealership. What other tricks I should watch out for? Imagine you have a car that you think is worth $9,000. But when the salesman looks at it, he frowns. He walks around it slowly, without saying a word, stopping to rub his finger over every minor scratch and ding. He sighs, makes a few notes on his clipboard, and seems generally conflicted about the whole ordeal. This bit of theatrics is called the “silent walk-around.” It’s a way to convince you that your car is worth less than it really is. Next, the dealer will probably lowball you on the car’s value. He might have $10,000 on the ACV, but he tells you something like $7,500. It’s just another game that dealers play. Now you’re negotiating not only the price of the vehicle you want to buy, but you’re negotiating the price of the trade, too. Things get more complicated when the dealer adds the price of the warranty and add-ons to the negotiation table. Salesmen know that customers will fight less as time goes on. Plus, you don’t know the absolute value of everything. The dealer does. And as you banter about prices, the salesman is sizing you up to see where he can squeeze out extra dollars. It’s worth noting, however, that the process at Apple Autos is different. We never do a silent walk-around. Instead of trying to talk you down, we look for opportunities to improve our offer — for example, by finding out if the vehicle has new tires or any added features. We tell customers: This is your chance to sell the car to us. Tell us all the things that you’ve done that would make it worth more. How can I protect myself from shady sales tactics? We’re partial to our solution: a “best price” policy. As a one-price dealership, we pre-discount every one of our cars. We show you the car’s market value, what the discounts are, and what rebates you get. That means you get total transparency on your trade-in and the new car you’re buying. But at traditional dealerships, you can arm yourself with three questions. Deploy these as necessary and you’ll force an honest discussion about what your car’s really worth. 1/ How did you determine the vehicle’s value? You want the salesman to give you data. They should be using reputable sources like Kelley Blue Book and other info specific to their local market. However, if the salesperson’s answer is wishy washy—i.e. If they say something like “It’s different for every deal,” or “We usually offer more on a trade-in if you’re buying a more expensive car”—then it’s a sign they are playing fast and loose with the numbers. 2/ Does this trade-in value apply to any car on the lot? If they say no, then they’re trying to push you toward a more expensive purchase. Your car’s value is it’s value. It shouldn’t matter what other vehicle you’re looking to buy. 3/ Will you buy this car from me whether or not I buy one from you? Again, if they say no, then they’re not doing honest business. This could mean any number of different things, but they’re definitely playing with the numbers. Is there a best time to trade-in my vehicle? The trade-in value of your vehicle won’t change seasonally. But if you go to a dealership at the end of the month, you may see some discounted prices on new vehicles. Why? Because if a dealership hasn’t hit its monthly quota, it may begin accepting lower margins to goose the numbers. Similarly, dealerships are often more willing to negotiate favorable deals later in the year, when they’re making last-ditch efforts to improve their annual sales. But don’t expect the savings to be huge: According to data from Edmunds, the difference between good and bad timing works out to about half a percent. Will a dealership buy a car from me if I still owe on it? Yes. Roughly a quarter of the people who trade in cars with us are upside down on their loans. The good news: You don’t usually have to put cash down to cover that difference. For example, if you were to trade in a car for $10,000, and you owed $12,000 on it, the additional $2,000 would just get rolled into your next loan. You can’t escape the negative equity, but it won’t stop you from upgrading your car. Can I trade in my car for a cheaper car? Absolutely. But if you’re doing it to lower your monthly loan payments, you might be disappointed to discover that cheaper cars don’t always deliver lower payments. The numbers can get pretty goofy here, but in some cases, trading your car for a less expensive car could actually result in higher payments. On the other hand, if you’re swapping a $30,000 extended-cab pickup for a $15,000 compact car of a similar year and mileage, then yeah, you’ll probably lower your payment. Just be sure you run the numbers before you get too far into the process. Can I trade in a car I just bought? Yes, but it’s typically not a great idea. A new car will drop in value by about 10 percent as soon as you drive off the lot. Used cars do not drop off in value as steeply, but you may still wind up on the losing end if you try and trade it in quickly. A better idea is to shop somewhere that offers a good return policy — something that’s almost unheard of in the auto industry, but is available if you know where to look. For example, at Apple Autos, we offer a 30-day exchange on used-car purchases. That means that, during that period, your car retains its full value, and you can trade it in for anything else on the lot should you change your mind. Some other dealerships, however, may offer a shorter exchange window (3 to 7 days) — or none at all. Which is why the FTC advises you to get a dealership’s return policy in writing before you make a decision. Can I trade in two cars for one? Yes, absolutely. If you have one car worth $5,000 and another one worth $10,000, that’s $15,000 of trade-in potential. Can I trade in a car if I don’t have the title? Yes, you don’t need to worry. Most dealerships will help you replace your title. 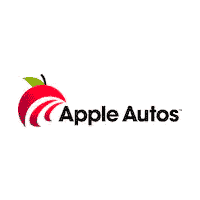 At Apple Autos, we offer this service at no cost. My car’s just not worth much—is it even worth trading? Most dealerships won’t buy your car if they don’t think they’d be able to turn around and sell it. That isn’t true at Apple Autos. We take every trade-in, and often fix up less expensive vehicles to sell or even take vehicles for scrap, eliminating the hassle of you having to do that yourself. In some cases, you may want to keep your old car as a beater or work vehicle. In others, you might decide it’s better to donate the car and write off the loss on your taxes. But don’t expect a windfall. According to Edmunds, about a third of donated cars are simply sold for scrap — so the value you’ll receive for the vehicle will be placed accordingly. For example, if you’re in a 28 percent tax bracket, and the charity organization you donate to sells your car for $500, then you’ll net $140 on the write-off.